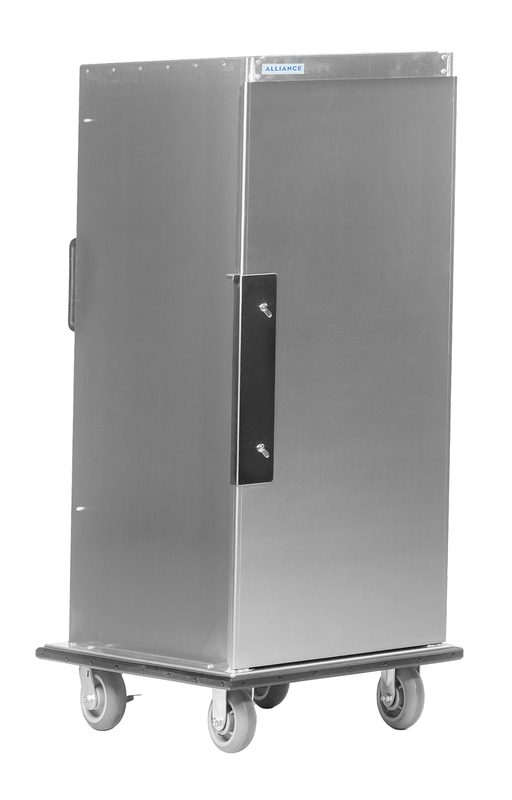 Body available in .063 aluminum or 18 gauge stainless steel. 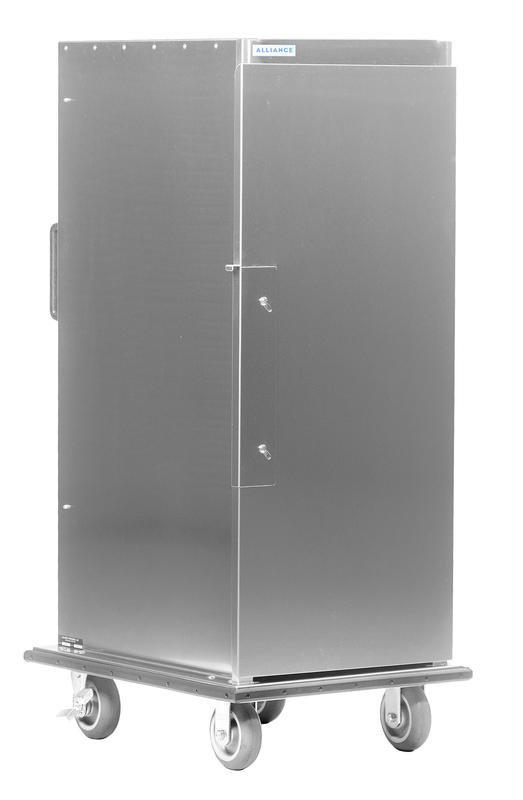 Single door design with full length hinge and heavy duty stainless steel gravity latch. Door opens a full 270 degrees and lays neatly against side of cart. 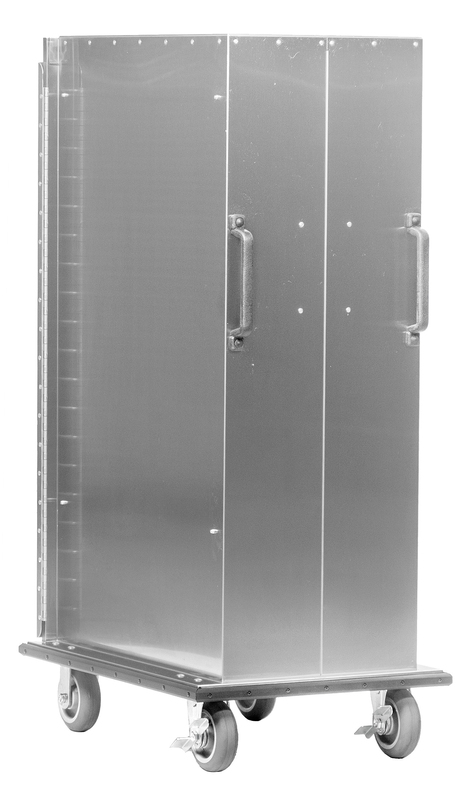 Door is made of .090 aluminum or 16 gauge stainless steel. Contour seemless tray slides are easily removable for better cleaning. Available for 15x20 or 14x18 trays. Tray size must be specified with order. 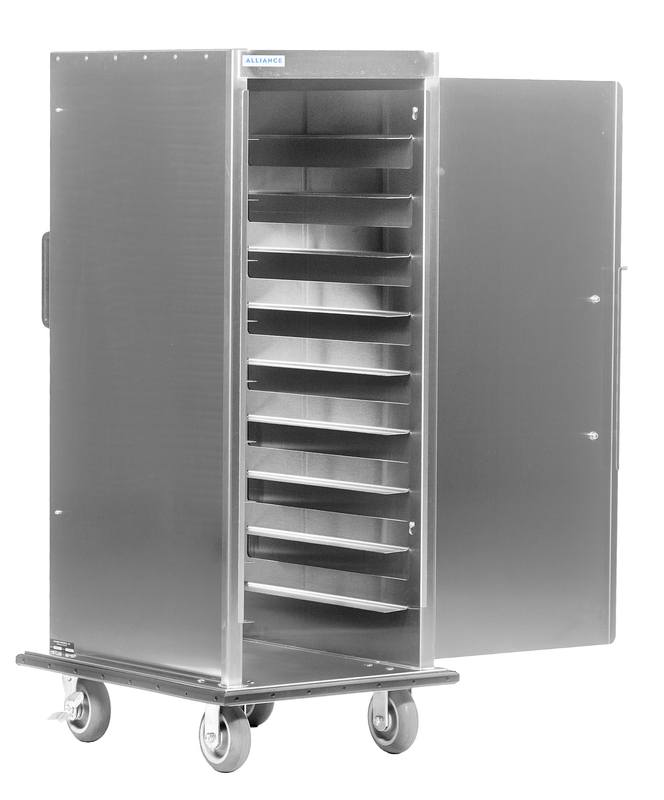 Base is made from .125 aluminum or 14 gauge stainless steel. Dual, vertical push/pull handles are mounted on rear of cart.